Holly Willoughby is known for showcasing her looks on her social media, but this skirt had her fans applauding. Instead of doning a designer skirt, the TV presenter opted for a Dorothy Perkins number, which is currently priced at just under £20. The red and black tweed mini skirt with white pockets and buttons is currently in the sale on the company’s website, down from £26, to just £19.50 in their autumn sale. And the best part is that it’s still in stock, but hurry as it’s likely to sell out quickly! You can buy the skirt here. While another added, ‘I love your cute outfit Holly’. A third agreed, commenting ‘Wow Holly you look amazing as always’. While a fourth added, ‘I need that skirt’. 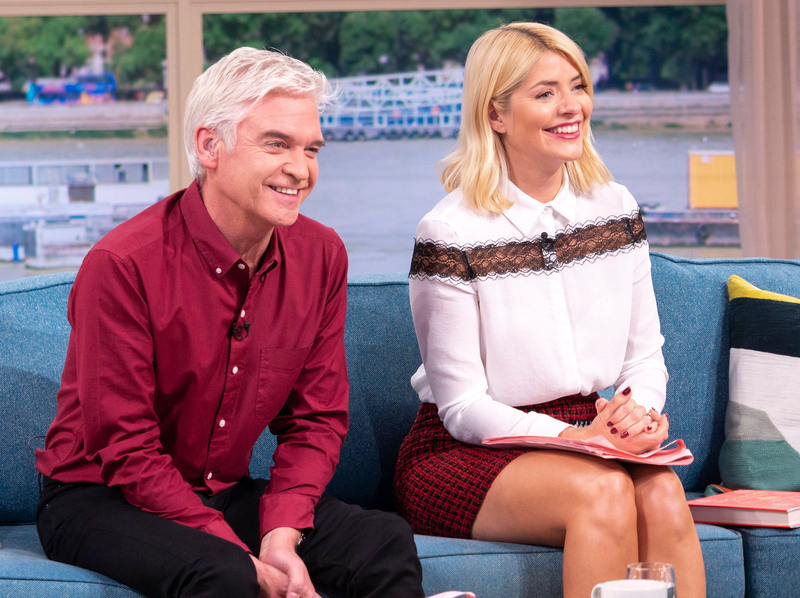 She wore the skirt on Tuesday’s This Morning, where she and co-host Phillip Schofield discussed Princess Eugenie’s upcoming wedding on Friday and World Mental Health day. Holly, who shares her outfits before most TV appearances, has also just become a brand ambassador for Marks and Spencer. Her 20 piece Autumn edit includes a leopard print dress, a fish tale skirt and gorgeous coats. The mum of three also recently revealed the real reason why she quit lifestyle brand Truly. She admitted that her family came first and her career, including presenting, modelling and other commitments, was taking up too much of her time.